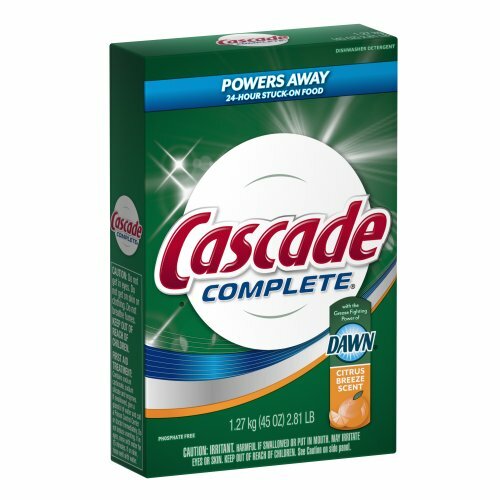 Cascade Complete Powder dishwasher detergent powers away 24-hour-stuck-on food, dissolving tough food particles from your dishes. 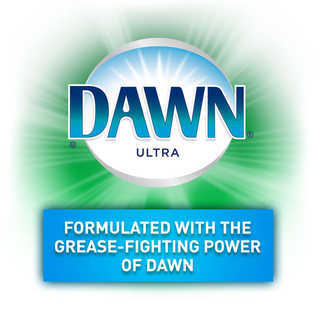 And it's formulated with the grease-fighting power of Dawn. Which means you can skip a step at the sink and still get a complete clean. 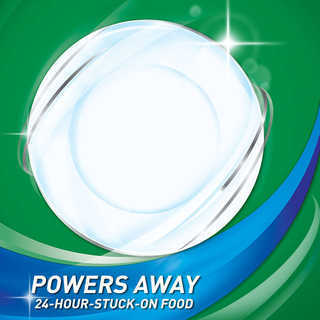 Trust your dishes to Cascade Complete Powder –' your new shortcut in the kitchen. For a virtually flawless clean, try this Cascade dish routine. 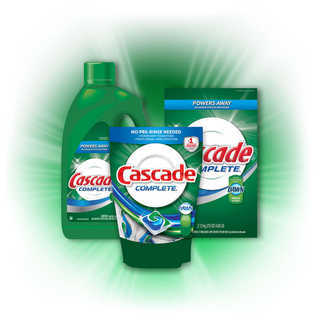 First, wash dishes with Cascade Complete Powder for a complete clean. 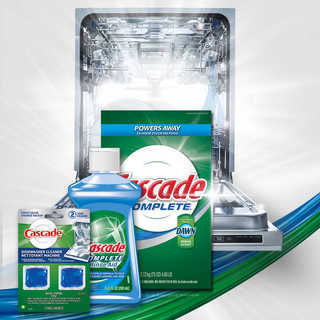 Then, to prevent spotting and filming on dishes, use Cascade Complete Rinse Aid. 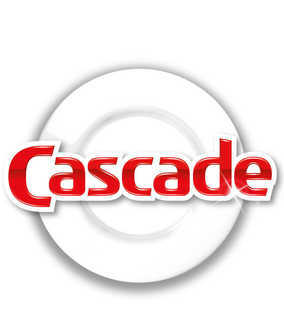 And to help clean limescale, grease, and odors away from your dishwasher, try Cascade Dishwasher Cleaner. No Pre-Washing of dishes required. 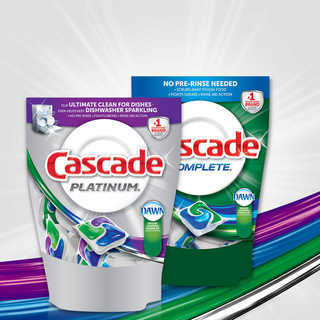 Cascade Complete is formulated with more tough food cleaning ingredients vs. regular Cascade to fight through layers of dish residue leaving behind nothing but shine. *vs. regular Cascade gel. Bulk 50 lb. Bag of Bubble Bandit Dishwasher Detergent. 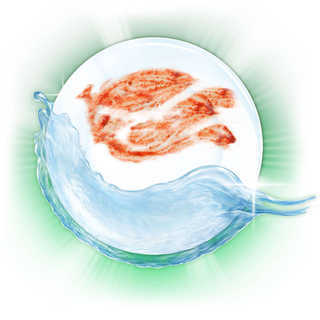 Economical- Up to 800 wash cycles out of every 50 lb. bag.